A skydiver is dead after landing on the roof of a family's home after his parachute failed to deploy. 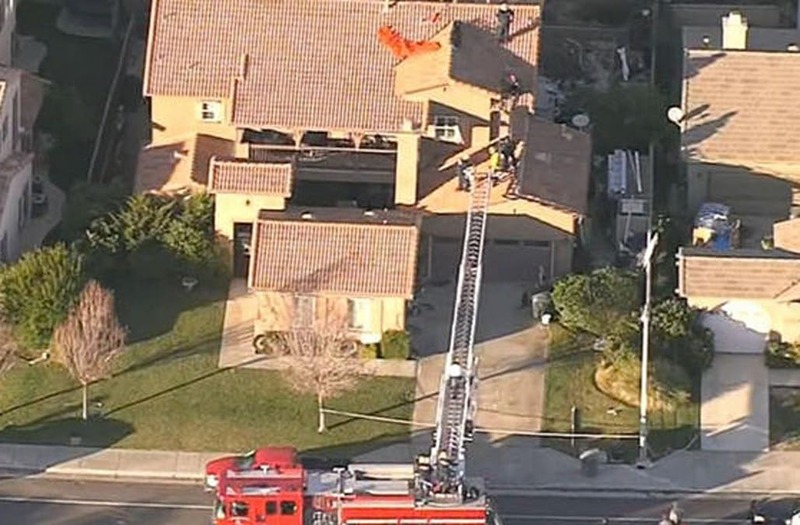 The man, who has not been identified, jump from the plane and landed on top of a home in Perris, Calif., according to an incident information fact sheet released by the Riverside County Fire Department. Firefighters were called to the residence just before 3 p.m. Monday. KTLA reported that the victim was pronounced dead at the scene within 30 minutes. Ali Muhassen, the witness who called paramedics to the scene, told the publication he did not see a parachute deploy or open. He added that the solo skydiver appeared to be unconscious as he hurled toward the ground. "No movement at all, his head was down, neck down, arms just flailing around," Muhassen said, recalling the sight. Muhassen believed the victim was going to land in his backyard. Instead, he landed on a neighbor's roof after an emergency parachute deployed moments before his body made contact. "I guess his emergency chute deployed, and it kind of picked him up a little bit and it took him to the house behind us," Muhassen told the outlet. Per the Riverside County Fire Department's report, an investigation into the incident is being handled by the local sheriff's department. It's unclear what facility the victim was skydiving with, though KTLA noted that the home on which his body was found was just a few miles from Skydive Perris, which operates out of the Perris Valley Airport.